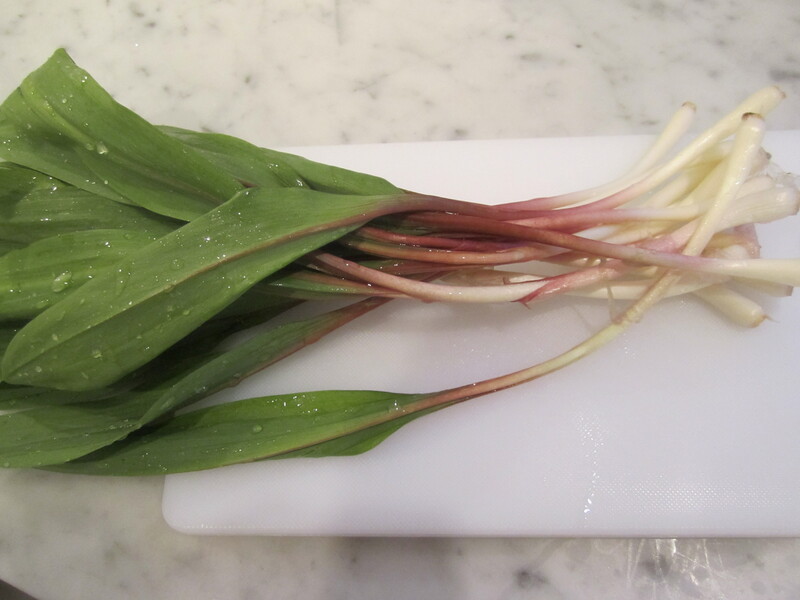 Ramps are in season right now, and they’re a delicacy worth seeking out, if you like the flavor of garlic. They’re found only at farm stands and their season doesn’t last more than a couple of weeks in spring. They’re perfect for those of us who like a mild, but complex garlic flavor in foods. 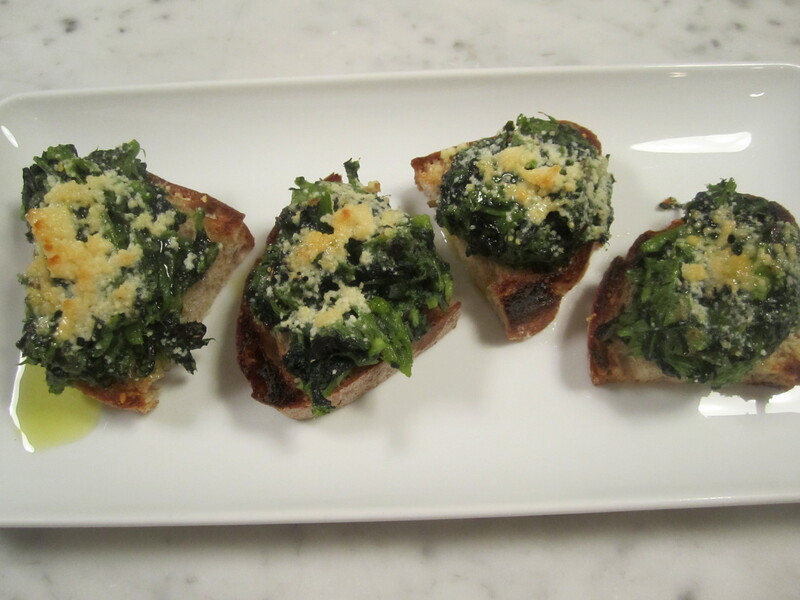 Although I’m a very judicious user of garlic, I absolutely love the flavor of ramps. 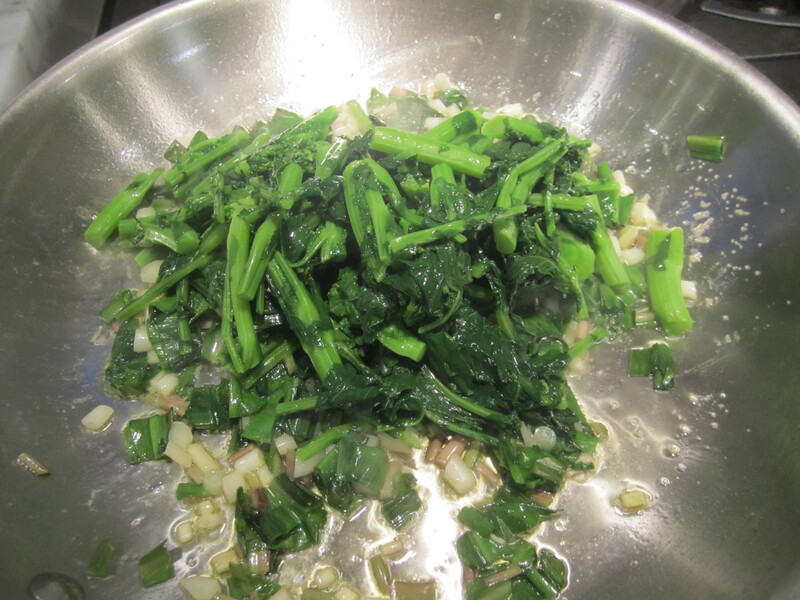 In this dish, broccoli di rapa are blanched, then sauteed with chopped ramps until soft and sweet, then lightly pulsed in the food processor. They are then heaped onto slices of grilled country bread, crowned with a pile of grated pecorino, then briefly melted under the broiler. The pecorino binds the mixture together, allowing you to serve these either as finger foods or as a first course with a fork and knife. 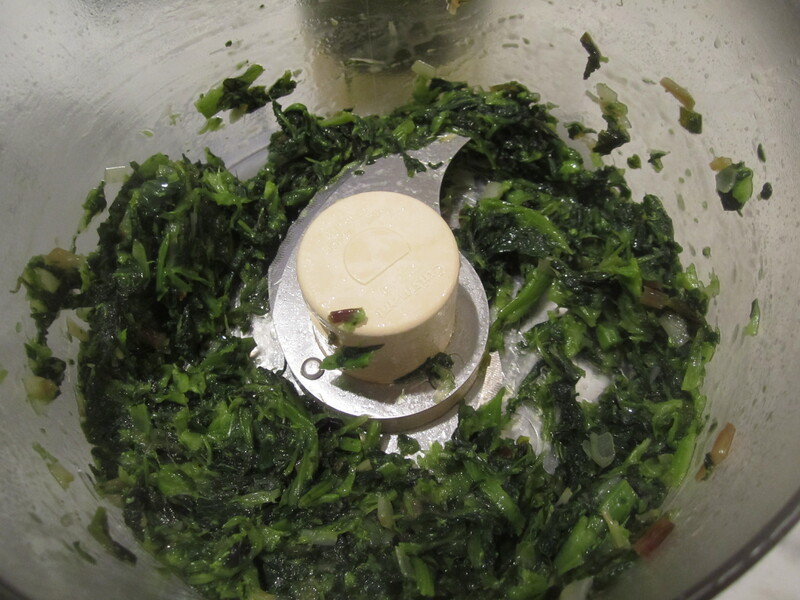 Drop broccoli di rapa into salted boiling water and blanch for about 3 minutes. Remove, drain, set aside. 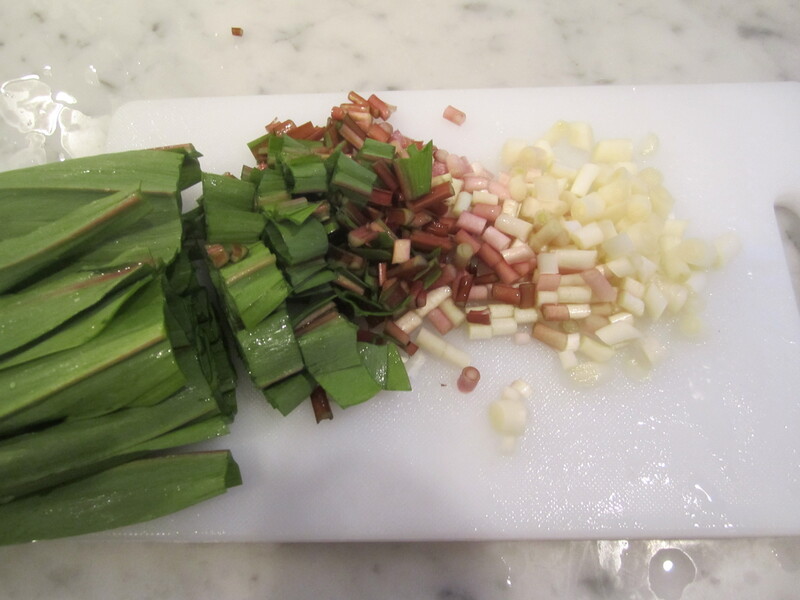 Chop ramps crosswise into 1/2″ thick slices. 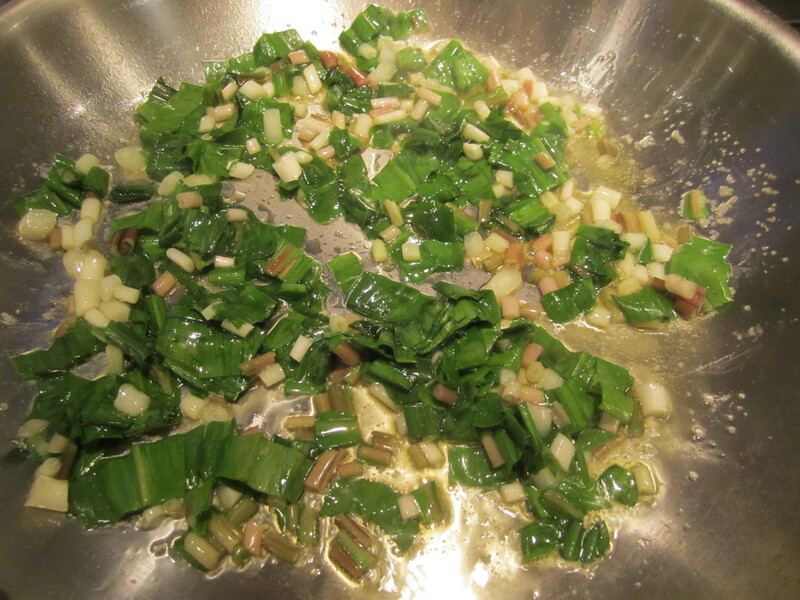 In a skillet on medium heat, saute the ramps in 3 tablespoons of olive oil, until they begin to caramelize. Add broccoli and reduce heat to low. Simmer, covered for about 15 minutes, stirring every so often. Taste and add salt and pepper. Add the mixture to the food processor and pulse a couple of times, to form a coarse puree. Broil bread slices under broiler on one side only. 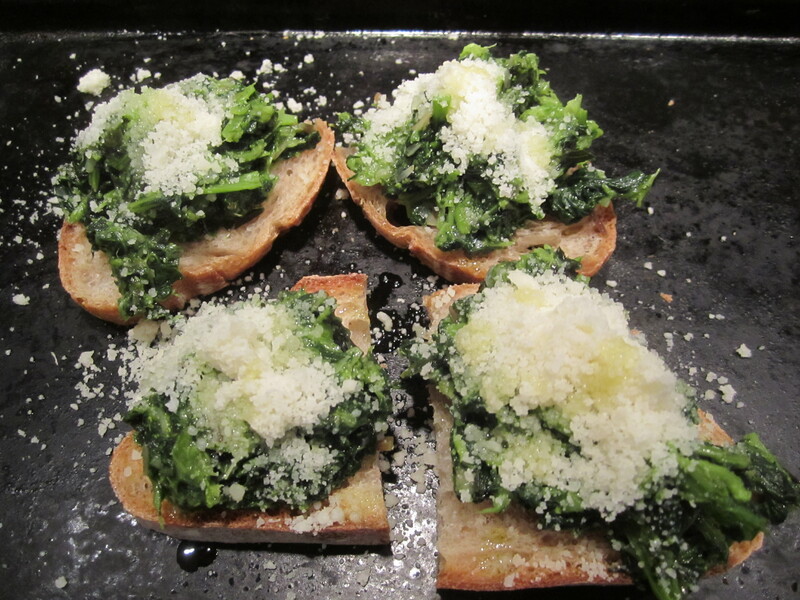 Turn the bread to the non-toasted side and heap on the broccoli and ramps. Sprinkle with a liberal amount of grated pecorino and place under pre-heated broiler until they begin to bubble and turn golden. Drizzle with additional tablespoon of olive oil and serve immediately.